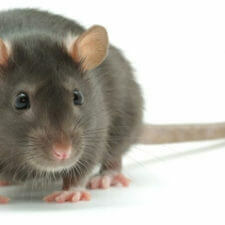 Rats typically live underground in sewers and other places filled with garbage, feces etc. In the world of dreams, when something is underground it’s often a symbol that it resides within the subconscious. It’s something you’re fundamentally unconscious about. Garbage, feces etc. are often associated with negative phenomena in the psyche such as anxiety, envy, jealousy or fear (in addition, see Feces). Rats are also carriers of disease and as such can be a symbol of something “ill” inside of you. It could be that your thoughts, your actions or something else within your unconscious mind is destructive. Perhaps it’s a traumatic experience you have yet to process. That’s why dreams about rats can mean that you’re presently being controlled, or at least influenced, by such negative phenomena. This means that you may perform unfortunate and destructive actions – against yourself or others – in your daily life – without being aware that you’re doing it. You may have a friend that you’re jealous of, which makes you speak ill of them behind their back. It could also be that you’re keeping yourself from doing something that otherwise would be wholly right for you – but you aren’t consciously aware that your fear is holding you back. Rats are as such symbols of typically destructive forces/thoughts within you that you’re unconscious about. One association you could make is that the rats (the thing they represent) are gnawing at you. Maybe they’re even happily gnawing your life away? In the outer interpretation dreams about rats can also symbolize that someone, or something, outside of yourself is harming you. 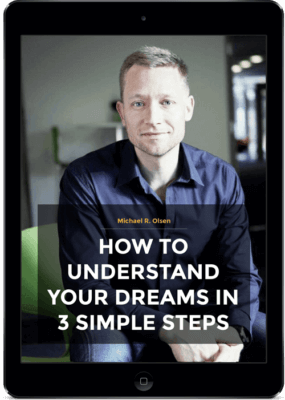 As always, you need to be honest to yourself when it comes to interpreting your dream. Are you the one with rats in your unconscious mind – or are they to be found outside of yourself? If you’re caring for a rat (or a mouse) – as in having the rat as a pet – in your dream, it could be about the care you show for others in your life – or for what the rat represents. Dreams about mice often mean something else. Here, the mouse is seen as a timid animal. It also represents that humans can be gray (unimportant) mice. Perhaps it’s something you feel about yourself at the present time, or maybe it’s the way others see you. You either have to process your sense of inferiority or you have to work on standing out from the crowd. In other words you have to be and remain yourself. NOTE: Dream interpretation is very individual. When you dream about rats its almost guaranteed to mean something different for you (in your situation of life) than it does to others also dreaming of rats. Because I have had a lot of thérapy I no longer analyse dreams like you do; In my dreams I look for small gravels that move, little pieces that move, something that melt; it means that the neuroses are melting away, and it takes years. A car accident takes 28 years to come up in a dream; having escaped deportation at age 9,10 and 11 I still have nightmare that I am being marched to the gas chamber from times to times, seventy five years later.Dreams are invented by the subconscious to bring piece to the sleeper, and are not to be taken to seriously.